The England and Wales Cricket Board and Cricket Australia have announced that August's Women's Ashes will be decided by playing all three formats. 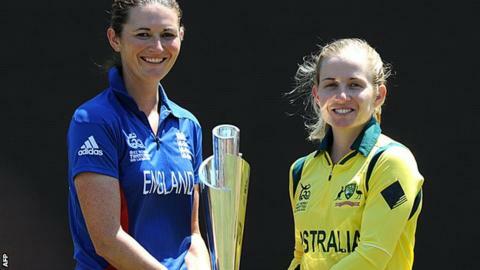 The highest points total after one Test, three one-day internationals and three Twenty20s will win the Ashes. Six points will be awarded for the winners of the Test in Wormsley from 11-14 August, with two points for each side in the event of a draw. The limited-overs games which follow will see two points for a win. The final two T20 internationals, at Southampton and Chester-le-Street, will be played before the men's T20 internationals between England and Australia. Australia are the holders of the Ashes after winning a one-off Test match in Sydney in January, 2011. Head of England women's cricket, Clare Connor said: "We believe that this new multi-format series will gain significantly more profile and context than can be generated by playing a one-off Test match every couple of years." Cricket Australia's Belinda Clark said: "Cricket contests between Australia and England have a special place in the hearts and minds of players and the public. "The new Women's Ashes series format acknowledges the past, embraces the present and takes a bold step towards the future."